World Wide Technology will work with Hewlett Packard Enterprise to provide on-demand data storage support for enterprise environments of the Defense Information Systems Agency under a potential six-year, $427 million contract. 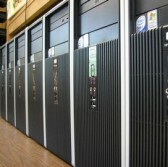 The Enterprise Storage Services II contract awarded to WWT has a base term of four years and two option years, WWT said Wednesday. WWT will work to provide DISA with a storage infrastructure based on HPE’s 3PAR StoreServ Storage system in order to help the agency manage classified and unclassified information at various facilities worldwide. DISA initially tapped WWT in 2014 to provide on-demand storage support for the agency’s enterprise environments. 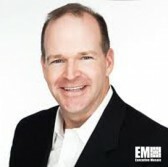 Joe Ayers, vice president of HPE’s federal enterprise group, said the ESS II contract aims to eliminate the use of monolithic architectures as well as help address the gap between reduced budgets and the rising demand for information storage. St. Louis-based WWT will use and integrate Cleversafe’s object storage cloud and CTERA’s File Sync and Share platform with DISA’s storage infrastructure. WWT will also partner with Brocade, NetApp, EMC and Spectra Logic to equip the storage infrastructure with disk and tape backup tools, SAN and network-attached storage platforms under the contract.